Chris Packham asked me this after reading a mountain hare culling story in yesterday’s Scottish Sunday Herald. He was right to ask - the feature was packed with emotion…. … there were few facts. Some facts were wrong. Both OneKind (an Edinburgh-based animal welfare group) and the RSPB were reported as stating the national mountain hare population is “declining”. Is it? The recent reports of a 45% decline in hares were derived from mountain hares counted whilst people were surveying for birds, not hares. When we actually surveyed for hares we found that over 80% of the UK’s mountain hare population is in Scotland. The GWCT established in 2008 that the Scottish range of mountain hares is not shrinking. Range contraction is often the first sign of a population in trouble. 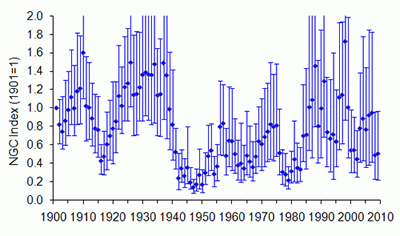 And our very long term data suggests changes in numbers of hares by more than ten-fold are quite natural. See GWCT National Gamebag Census data and Mammal Society for more on mountain hares. 1) We still commonly see hares even in areas where there are intensive culls suggesting that the population may be more robust than some think. 2) Regular shooting may well be necessary on some moors to prevent numbers getting too high and damaging the heather. 3) EU legislation seeks to promote sustainable management of mountain hares, not protection per se. There is no evidence that such culls are not sustainable at this stage. However, we have always been clear that the priority for disease control should be deer reduction hand-in-hand with treated sheep before considering hare culls. If hares are locally lower than peak numbers we think moors should consult neighbours to make sure shooting and natural declines are not coupled across large landscape areas. “We had lots of biodiversity [in Ireland] before we made upland moor management impossible. We were more concerned with getting rid of the owners simply because of historical conflicts. We also got rid of the heritage that these landowners protected. The UK’s uplands are one of the wonders of the world. These Uplands continue to inspire milions [sic] of visitors and have done for centuries. Also great to see one leveret at 4,100 feet in the Cairngorms in June, with Dotterel, Ptarmigan, Snow Bunting and Reindeer for companions! This only comments on how the mountain hare is faring in Scotland, but 20% of its range is elsewhere. Your own website gives numbers of mountain hares in England as just 500, but that was in 1995. Are there any more recent, reliable figures, and what is being done to increase numbers south of the Scottish border? I think the source of the statement you make about the mountain hare's range not shrinking also says that it cannot comment on the abundance of hares; that 90% of hares are culled for tick control or sport; and that such killing has increased by 32% over a roughly 10 year period. 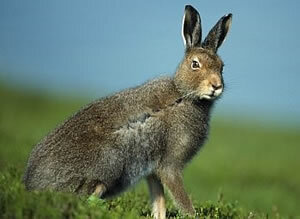 You also suggest that hares have to be killed to protect heather cover. Taking this into account together with the large "natural" fluctuations in hare populations that you refer to, means that we do not know what the long term effect will be of large scale culls on hare populations. You also suggest that hares have to be culled to protect heather cover It does demonstrate that managing landscapes to benefit bio-diversity either directly or as a by-product of other activity is complex. For example, taking out predators on grouse moors results in more hares that then have to be culled to protect grouse from disease and loss of heather. The more grouse you want, the more intensive the management has to be.The only fact we have is that the question "are grouse moors good for ecology" has not been satisfactorily answered.